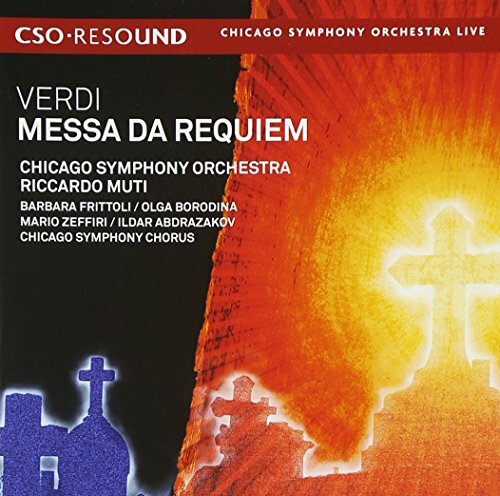 The Chicago Symphony Orchestra inaugurates Riccardo Muti's tenure as music director with one of the most anticipated releases of the year Verdi's Requiem Mass, featuring the Chicago Symphony Chorus and four outstanding soloists. Recorded live from sold-out, electrifying concerts, this stunning performance brilliantly captures both the pathos and passion of Verdi's masterpiece. View More In Requiems, Elegies & Tombeau. If you have any questions about this product by CSO Resound, contact us by completing and submitting the form below. If you are looking for a specif part number, please include it with your message.